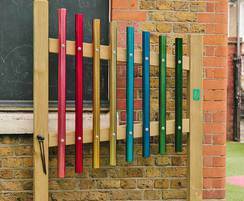 Offering children a full octave, the beautiful metallic finish Chimes are a mellow sounding, beautiful, colourful instrument to add to your music area. 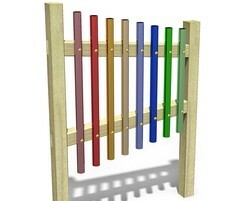 Everyone remembers playing with sound, whether it was hitting a fence with a stick or playing with house hold items; the range of chimes allows the user the same experience but with tuned notes. 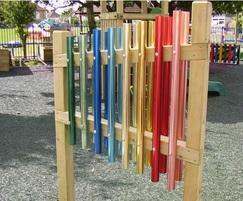 Both children and adults love to compose music on this attractive, robust, outdoor instrument. 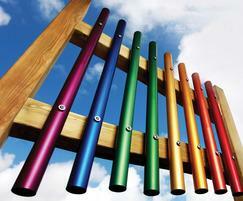 The chimes are tuned to the notes CDEFGABC, making it easy to both create and perform tunes. 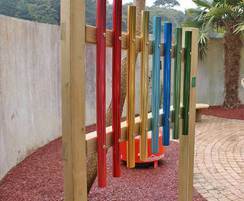 Children love performing on these amazing, vibrant chimes to their friends and family and they often choose to extend their musical thinking and play creative renditions right through break times. 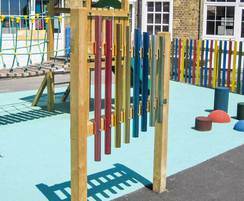 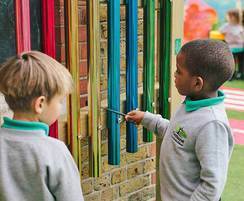 Not only are these chimes musically pleasing, they are aesthetically attractive and will bring life and music to any corner of a playground, however big or small. 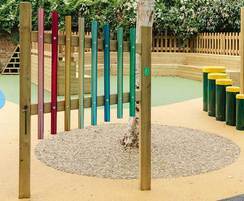 Shade sails and large tensioned umbrellas provide shelter and shade in playgrounds. 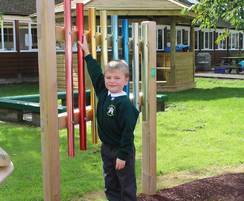 They are available in a range of shapes, materials and sizes to suit particular needs.